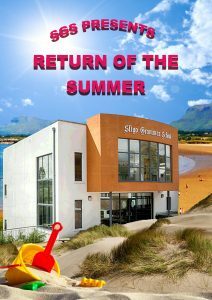 Sligo Grammar School produces a magazine every year, compiled and edited by TY students. The Magazine takes the form of a newsletter, printed in three instalments and contained within a folder, documenting the activities and events of the year, term by term. 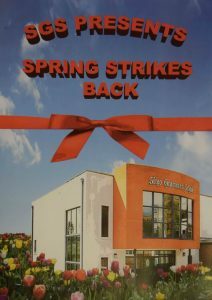 The publication is different every year, with a different name and format. Ms. Hynes, the teacher in charge of producing the “school mag” views the whole process as a core learning experience for TYs. 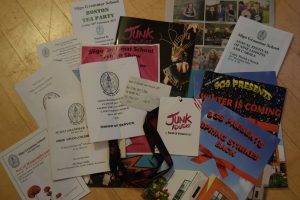 The magazine is kept within a folder and the idea is that during the course of the year families will collect memorabilia from the year – theatre tickets, newspaper reports, Prize Day and Carol Service programmes etc., and keep all together in the folder. 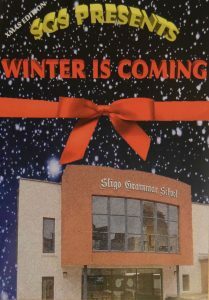 The folder is sent out with the first edition at Christmas with the following editions sent out at Easter and at the end of the school year. 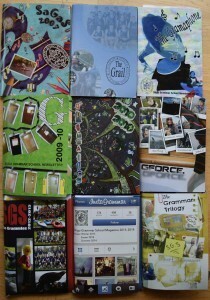 this is the magazine folder from 2014 -15, containing the three editions of the newsletter along with memorabilia from the school year. 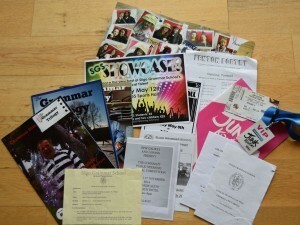 School Magazines from the last nine years.